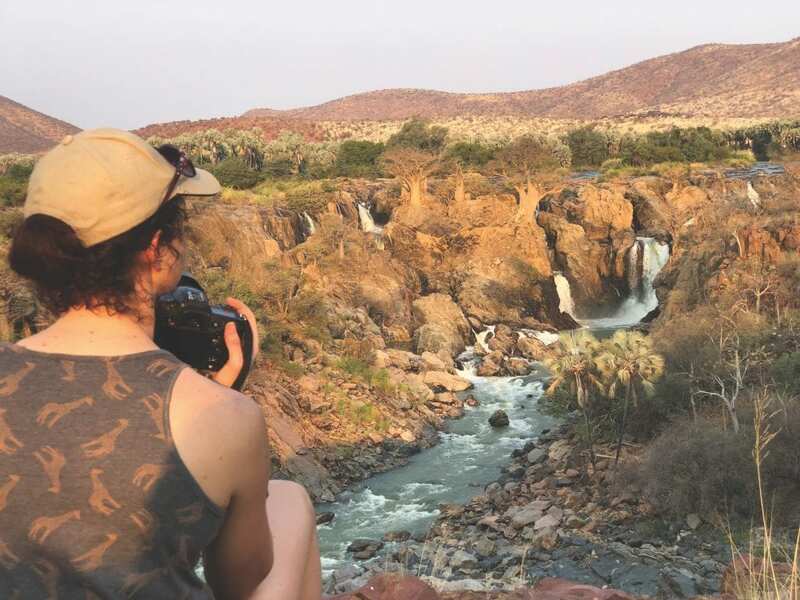 Photographer, writer and general creative wonder Annabelle Venter recently embarked on a weekend tour of one of her favourite spots in Namibia (if not the world). 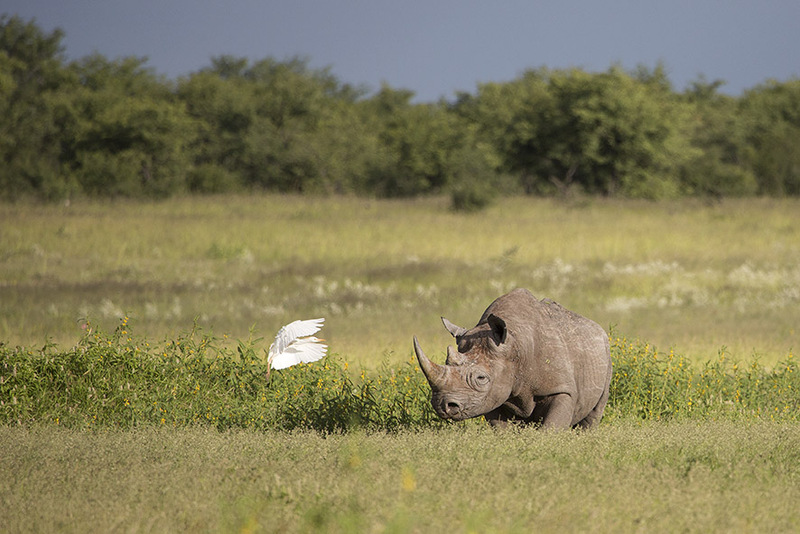 It was mid-March and Annabelle pointed her camera in all directions, capturing the marvel of nature in action after good rains in the Etosha National Park. Here is a short summary in her own words and the beautiful photos she generously shared with us. 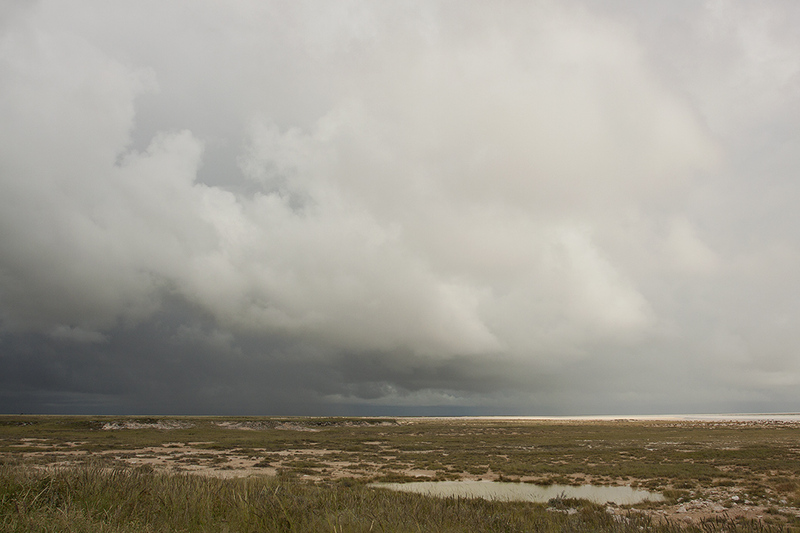 Etosha was absolutely magical this weekend. It’s as though summer has just started there – indeed the staff said the rain only arrived in March this year. 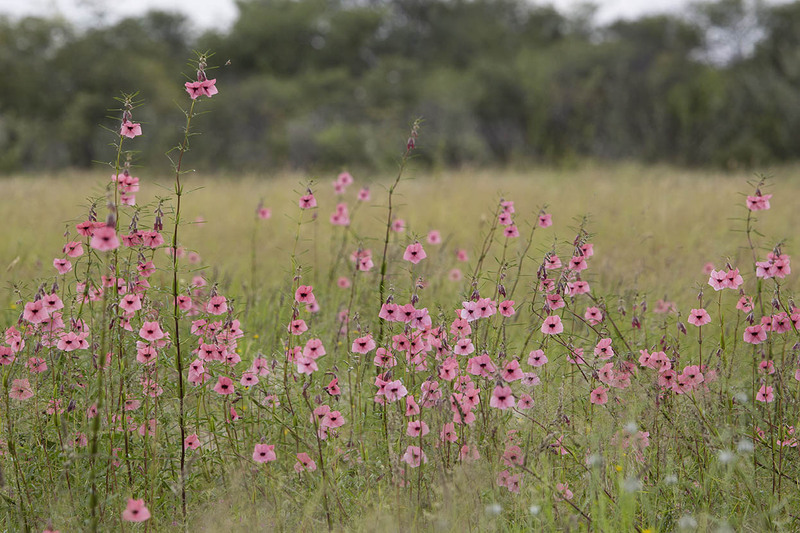 It smells so strongly of ‘green’ – and not just the wild sage, but sweet and spicy aromas. 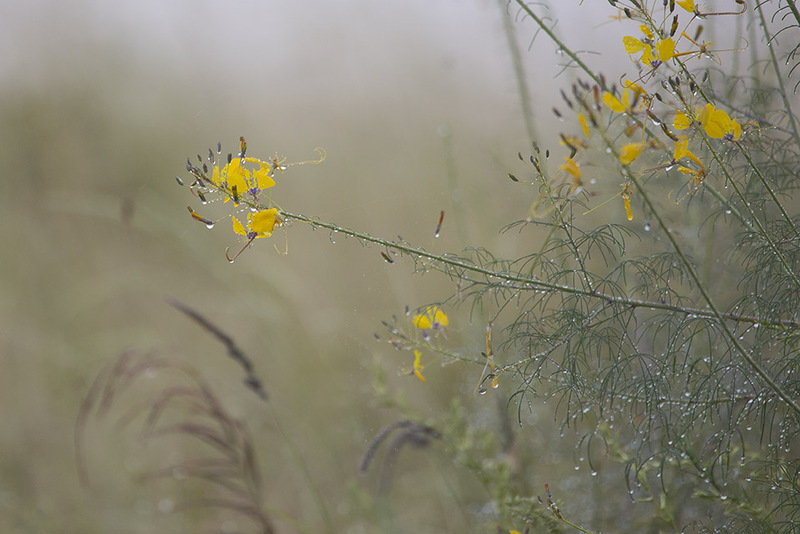 Long stems with fresh pink flowers are everywhere and the yellow cleomes just starting to flower in some places. The nebrowniis are spring green and even the dour old Charitsaub tree is sparkling green as though it’s had ‘highlights’ done! 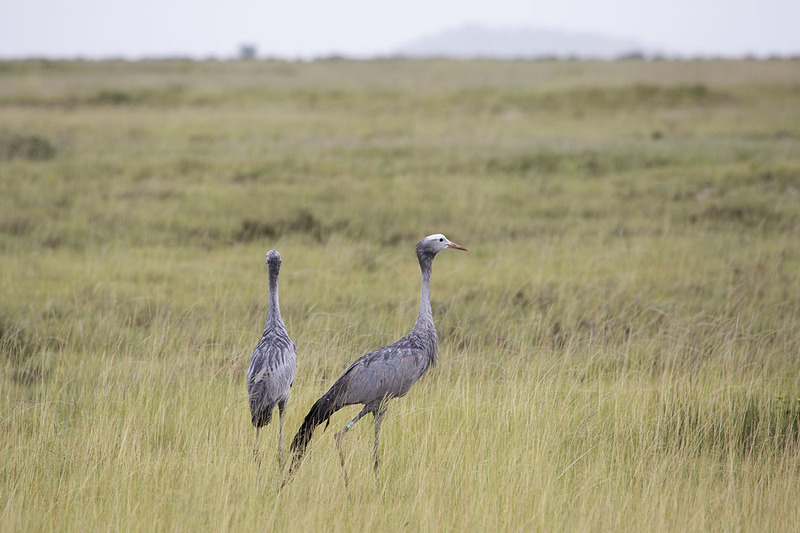 Not a cat in sight but many other delightful sights like wet blue cranes with babies. 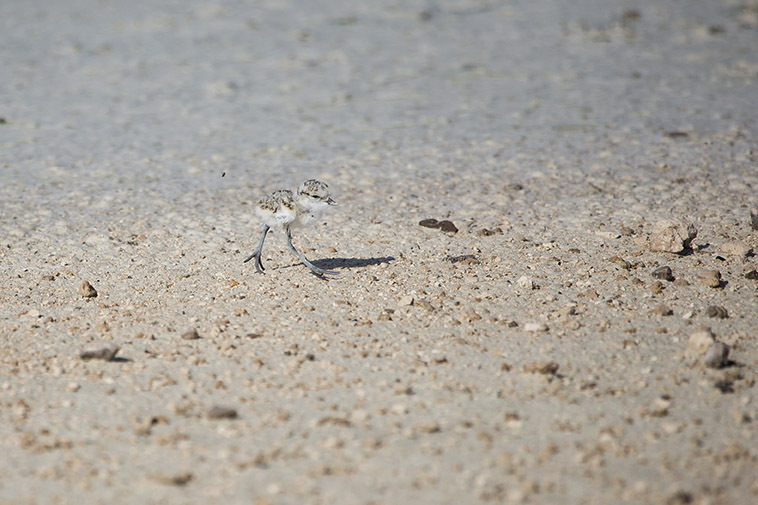 At first the pan was dry around Halali – yesterday afternoon I photographed two baby plovers foraging along the edge with their parents. 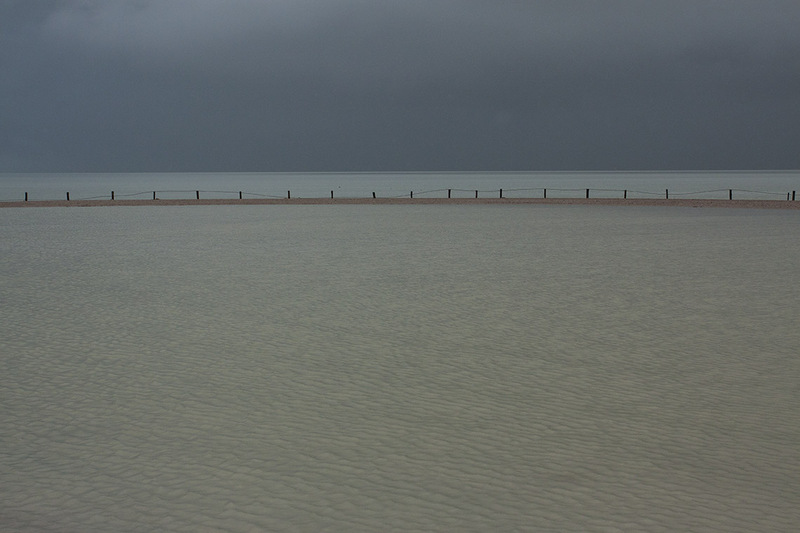 Last night we had a huge storm and this morning it had transformed the pan into a silvery grey lake with an ominous blue-black sky above it. 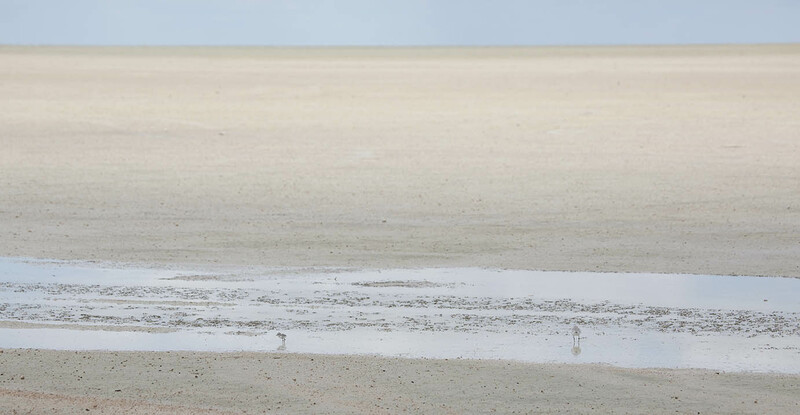 In the distance a lone ostrich carefully made its way back to shore. The gently lapping water had seemingly swallowed up the plovers – or perhaps a small falcon sitting on the fencing was responsible for that. 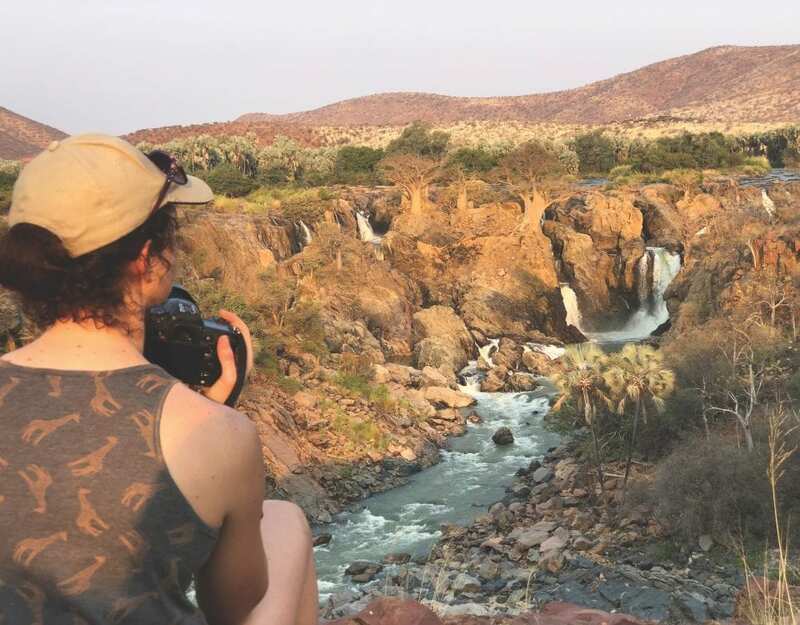 Pragtige fotos Annabelle en ek hou baie van die manier hoe jy die water en wat daarmee saamgaan vasgevang het. Ek dink die diere is die blyste van almal vir die mildelike reën die jaar. 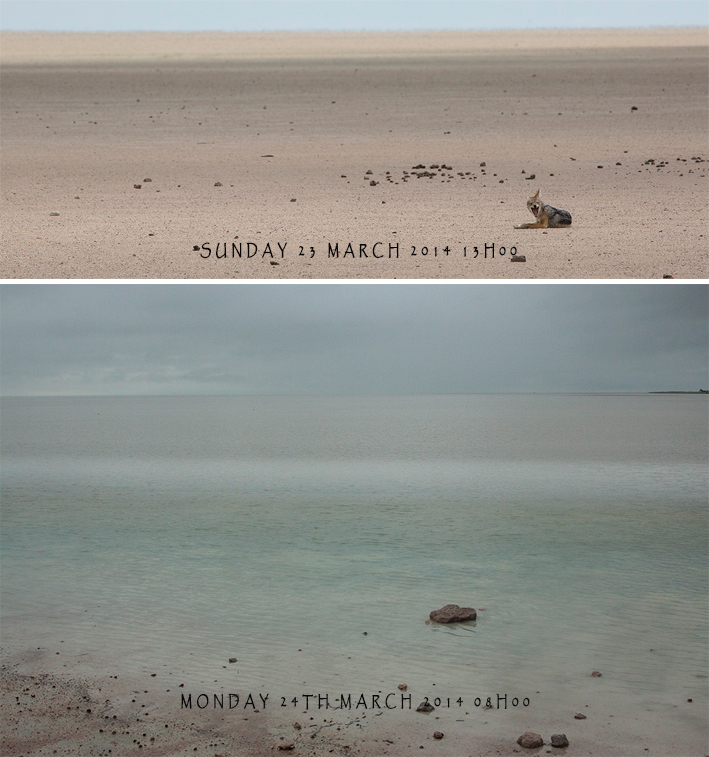 Ons is van die 14de April af in Etosha. Lyk my ons met swemklere en kano’s saamvat! 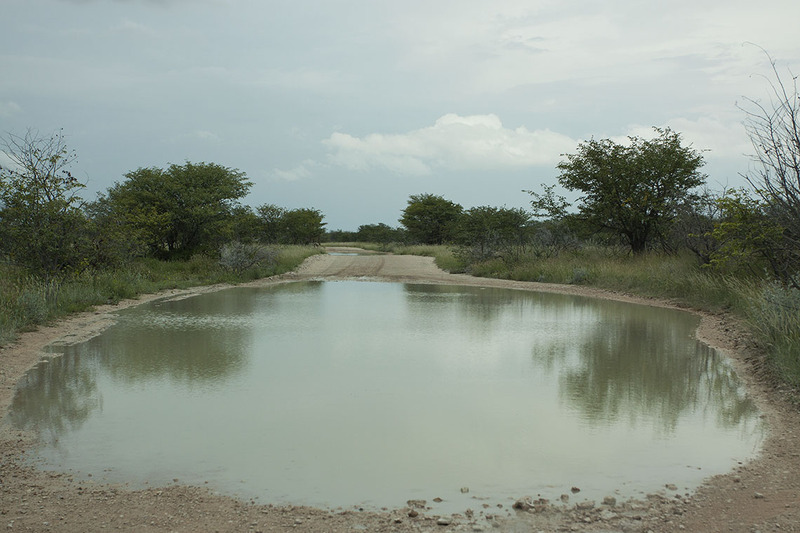 Wonderlik om so baie water te sien.